As a successful attorney and partner at Bryan Cave, Arindam Kar’s practice includes antitrust counseling, compliance, and investigations for multinational corporations. 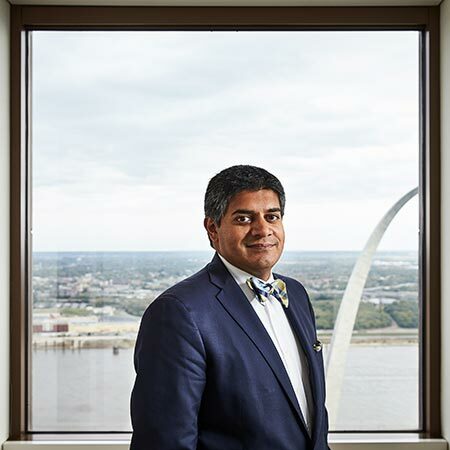 But he balances this challenging workload with an active pro bono practice and extensive community involvement, including service on the boards of the International Institute of St. Louis, United Way of Greater St. Louis, Gateway Region YMCA, SSM St. Clare Hospital Foundation. What drives your passion for your pro bono work? I am a first-generation American whose parents had the good fortune of immigrating to the U.S., by choice, to pursue educational and professional opportunities. They, like many immigrants, had a very challenging path to success. They instilled in me a profound appreciation of how blessed we were and that others may not be as fortunate. It’s for that reason that I became particularly passionate about refugee and asylum work. I’ve been fortunate to work at a fantastic law firm that has supported my pro bono refugee and asylum law practice so that I can help people who have come to our community after facing some of the most unfathomable events. I feel blessed for having the ability and opportunity to help many people over the years secure refuge in this country and helping them on their paths to becoming new Americans. 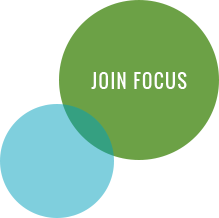 How did Leadership St. Louis impact your perspective? Personally, my Leadership St. Louis (LSL) experience really led me to look to opportunities where I could make an impact with policy and/or systemic changes (i.e., long-term sustainable change) as opposed to philanthropic and/or programmatic changes (which tend to be short-term change). Both are needed, but I wanted to focus my efforts more on the former, which I have had the opportunity to do most recently with being a member of the St. Louis City-County Governance Task Force. I owe a great deal to my LSL experience in helping me in my current civic endeavors. Looking around the region, what makes you hopeful? If one looks at the scholarship and strategy surrounding regional fragmentation, radical hospitality, collective impact and racial equity, this community has a very real opportunity to implement profound policy changes that would not only improve our community, but St. Louis could also be a model for other communities. Leadership St. Louis solidified that while our community faces many challenges, there are also remarkable people and assets in our community. And as an alum, it is incumbent upon me to support those people and utilize those assets to address those challenges.